The Pelican Snow Trek Sport 82 features 430 liters (113 gallons) of volume and heavy-duty RAM-X™ construction. 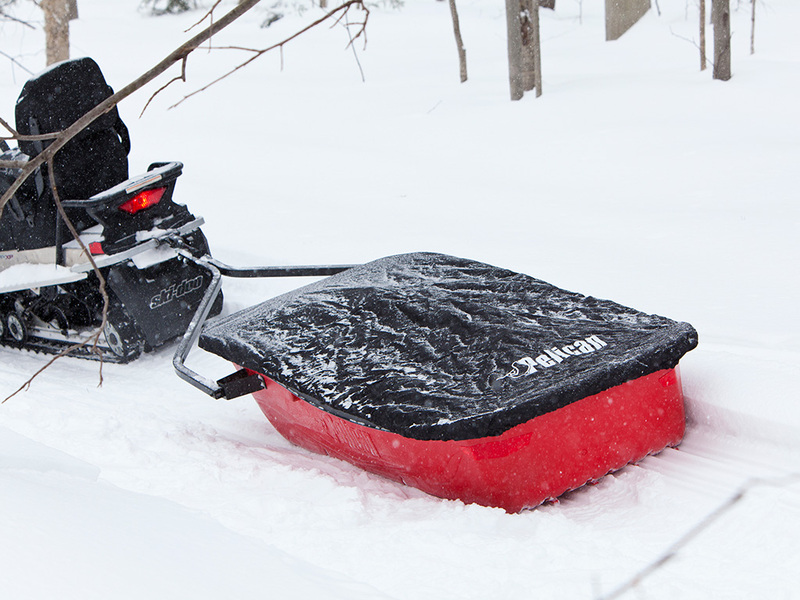 It comes with RAM-X™ runners for better tracking and extend sled life. 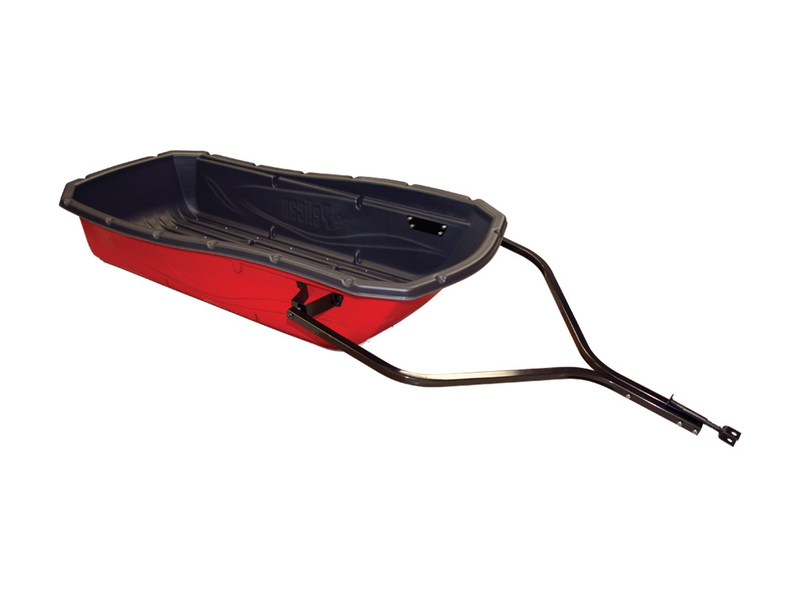 Also included is a shock absorbing, reinforced metal tow hitch which folds back over the sled (new for 2015/16). 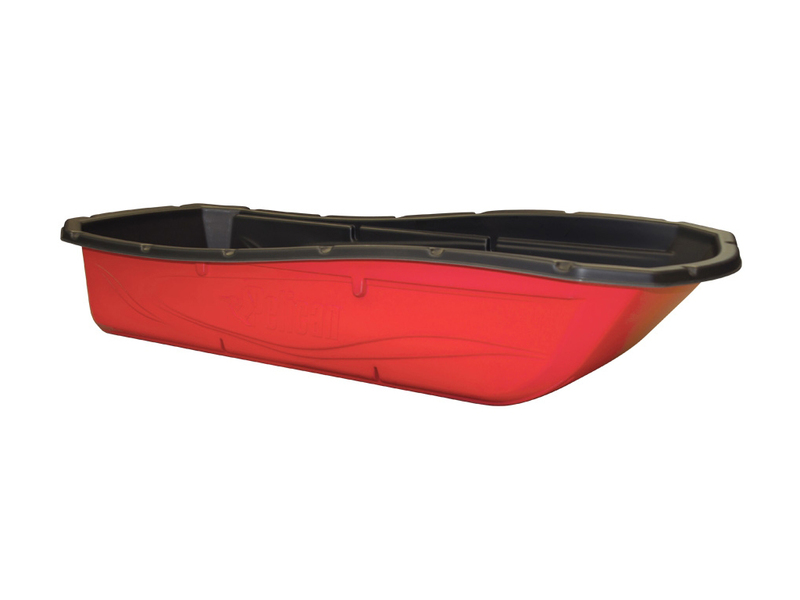 The Snow Trek Sport 82 has rear reflectors for safety and molded divider slots (dividers can be made with included template). An optional travel cover is available. I have been extremely happy with my Pelican Snow Trek Sport 75 utility sled and was pleasantly surprised to learn Pelican has come out with a larger improved version called the Snow Trek Sport 82. It is longer, wider, and a little taller. The larger size should allow even more gear to be easily moved behind a snowmobile or ATV/UTV. The new fold over hitch appears to be a great upgrade as it won't need to be removed for transport like on the Sport 75. The only downfall to the Pelican Snow Trek Sport 82 is availability. I have been unable to locate one anywhere in the USA and there are not any online Canadian retailers. Royal Distributing carries the 82; I saw it in-store today. You can find it on page 269 of the 2016 fall/winter catalog on their website (royaldistributing.com). Sail also has them listed for slightly less... (sail.ca). Atleast Royal will ship... although I imagine the courier charges could hurt a little bit.